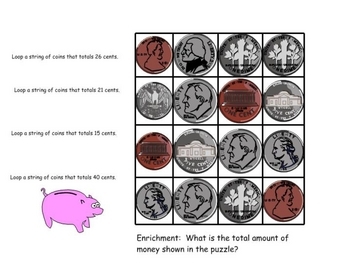 This smart board game has students adding money and identifying different ways to count change. Work with time and money. 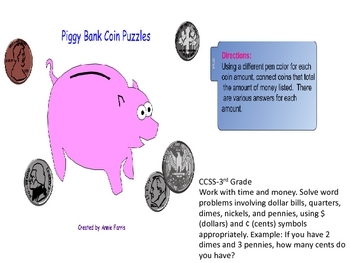 Solve word problems involving dollar bills, quarters, dimes, nickels, and pennies, using $ (dollars) and Â¢ (cents) symbols appropriately. Example: If you have 2 dimes and 3 pennies, how many cents do you have?